NEWBURGH – Girl Scouts Heart of the Hudson and YWCA Orange County are pleased to announce the 2019 Orange County Women of Achievement honorees. The annual Tribute to Women of Achievement of Orange County event, now in its 27th year, honors women who make a difference in the Orange County community through their professional, personal, or school-based activities. “I am delighted to congratulate this year’s Tribute to Women of Achievement award recipients. These accomplished women truly represent the G.I.R.L. (Go-getter, Innovator, Risk-taker, Leader)™ in all of us,” said Marie Reger, CEO, Girl Scouts Heart of the Hudson, Inc.
Dr. Michele Winchester Vega, a 2011 Woman of Achievement and Tribute celebration dinner committee chair, has been named the 2019 Bobby Lahey Alumnae Award recipient for her continued commitment to community service, and the ideals of Girl Scouts and YWCA. “We are immensely fortunate to have many truly outstanding women of achievement living, working, and volunteering in Orange County. Consistently going above and beyond in order to make a difference in our community they serve as role models to others. YWCA and Girl Scouts look forward to sharing the stories of the 2019 Woman of Achievement at the 27th anniversary Tribute celebration,” said Carol Smith, Board Chair, YWCA Orange County. More than 260 women from throughout Orange County have been recognized since the award’s inception in 1992. 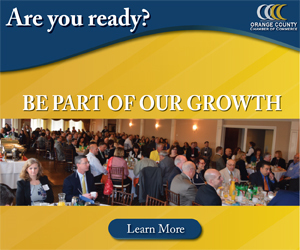 This year’s Tribute honorees will be recognized at the 27th anniversary Tribute to Women of Achievement of Orange County award celebration on Wednesday, May 8, at Anthony’s Pier 9 in New Windsor.